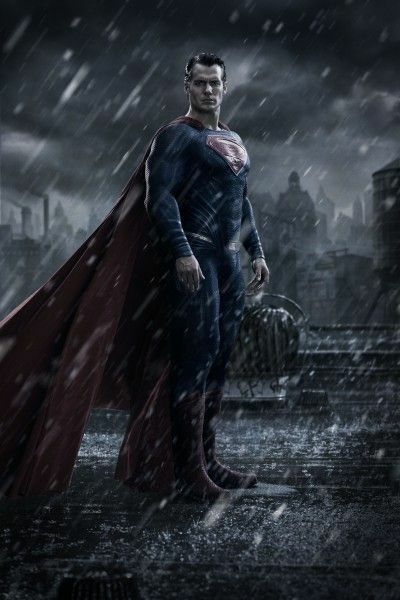 Warner Bros. has unveiled the official Batman v Superman: Dawn of Justice trailer for director Zack Snyder’s highly anticipated Man of Steel follow-up, which serves to tee-up a massive slate of interconnected DC Comics films. Watch the first Batman v Superman: Dawn of Justice trailer below followed by Steve and Matt’s take on the trailer. The film stars Henry Cavill, Ben Affleck, Gal Gadot, Amy Adams, Laurence Fishburne, Diane Lane, Jesse Eisenberg, Jeremy Irons, Scoot McNairy, Jason Momoa, and Holly Hunter. Batman v Superman: Dawn of Justice opens in theaters on March 25, 2016. While the trailer is two minutes, it’s really just an extended teaser. While I would have liked to have seen more Batman and Superman footage, I get that WB is holding most of it back until the full trailer and promotional campaign. Saying that, I like how the trailer focuses on the voices and starts to plant the seeds of what the film is about. While it’s obvious by the end of the film Batman (Ben Affleck) and Superman (Henry Cavill) will be friends and the film leads to Justice League, I cannot wait to see them fight and I’m so curious how Zack Snyder will use this version of Lex Luthor (Jesse Eisenberg). As long as he’s not trying to do some sort of real estate scheme, I’ll be happy. Then there’s the climax where it’s a warm to Batman vs Superman but you get the line “Tell me, do you bleed? You will.” Have fun at the movies, everyone! For more on Batman v Superman, check out these 30 images from the trailer.